Board a comfortable coach at Hamamatsucho Bus Terminal after morning pickup from your selected Tokyo hotel (in 2018, departure is limited to Keio Plaza Hotel or Hamamatsucho Bus Terminal). 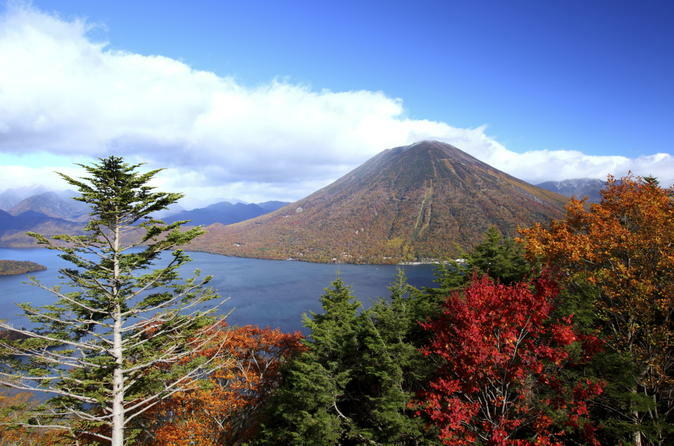 Then enjoy the drive to Nikko, a small city at the entrance to Nikko National Park — a place of stunning scenic beauty. The highlight here is the world-famous Toshogu Shrine, a UNESCO-listed mausoleum of the first Tokugawa Shogunate that ruled Japan until 1868. This gorgeous complex contains more than a dozen colorful structures featuring the superb craftsmanship of Japan's 17th-century artisans, set amid a tranquil forest. Finish your tour at Shinjuku or Ginza stations — Tokyo's most popular shopping and entertainment districts. Browse the stores or relax with dinner and a drink at one of the many restaurants (own expense), before making your own way back to your hotel. *In 2018, your return location will be Shinjuku.